CCA Excellence Awards programme is designed to recognise achievements of individuals and organisations committed to delivering outstanding customer service. The Awards are the most respected and sought-after programme, unique through its peer group judging process. The judging panel includes professionals from all sectors, and senior executives with wide-ranging experience in customer contact centres. Bill Safran, CEO – Vizolution said, “Working with Santander to help them deliver an exceptional customer experience has been a pleasure for us. Their unwavering focus on improving each and every element of customer contact includes embracing new technology and we’re delighted that vScreen is now a core part of their credit card process. By saving 12 days in the process their customers get what they want faster which is why we received 98% positive customer feedback. We are flattered to be a finalist with Santander for this prestigious award. Anne Marie Forsyth, Chief Executive, CCA said, “Delivering high standards of customer service in today’s fast-paced world with ever increasing consumer expectations is no mean feat. It’s more important than ever to recognise the efforts of individuals and teams dedicated to going the extra mile to deliver for customers and these Awards are designed to do just that. 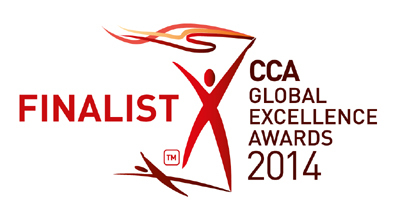 The Awards winners will be announced on the evening of 26th November 2014 at CCA’s Gala Dinner & Excellence Awards Ceremony, being held at National Museum of Scotland, Edinburgh.